Wisely, Gov. Eric Holcomb has rejected the idea of adding more toll roads – at least while he's in charge. The 2018 Ball State Hoosier Survey shows why. Eighty-eight percent of respondents listed improving highways and roads as either a priority or important to the state, and 55 percent approved of the increase in the gasoline tax passed last year. But only 21 percent favor “charging tolls on Indiana interstate highways” to help fund improvements. A 2017 feasibility study showed tolling new roads could bring in up to $53 billion between 2021 and 2050. That would help replace falling gas-tax revenue if hybrids and electric vehicles dominate the roadways in the future. But there are other uncertainties in play, such as whether the Trump administration's rollback of auto-fleet mileage requirements will mean gas-tax revenue will remain higher than previously predicted. All in all, it seems way too early to start levying tolls on more roadways. As northern Indiana residents can tell the rest of the state, once tolls are put in place, they're powerfully hard to undo. Case in point: Though the governor wants to take tolling of other Indiana interstates out of the equation, he seemed comfortable cutting a deal to raise truck charges on the Indiana Toll Road earlier this year. A little too comfortable, some legislators said in a budget hearing this week. As The Journal Gazette's Niki Kelly reported, some legislators are considering changing the law to ensure they have a role in decisions such as the one Holcomb announced in September. The increases, which will not affect passenger cars, will raise $1 billion for the state and an undisclosed amount of money for the company that operates the Toll Road. Holcomb said much of that money will be used to complete the last link of Interstate 69 south of Indianapolis, but money will also go to increasing broadband access for rural Hoosiers and improving trails. Legislators said they weren't consulted on either the toll-rate increase or the planned dispersal of the resulting funds. “We knew nothing,” said Rep. Greg Porter, D-Indianapolis. 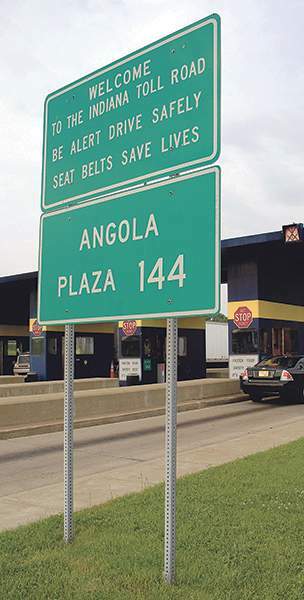 “What else is going on that we don't know about?” Other members of the budget committee said they're considering changing the law so the legislature won't be blindsided on Toll Road decisions in the future, Kelly reported. That would also be a wise move. The governor's plans for the additional Toll Road revenue are worthy, but Hoosiers deserve to know details of the deal with the toll road operators. And the legislature deserves to have a voice in funding choices and future deals.